While browsing the ‘Sweet Freedom’ website a few weeks ago (a site I hadn’t visited before), a new product instantly caught my attention. It was called Choc Shot and was due to be released into the supermarkets in a few weeks. What perfect timing. While the new Choc Shot sounded like an ideal solution to my kids ‘Nutella’ addiction, it also ticked the right boxes for fitting in with my new low GL way of eating. Yep, this product has a low glycemic load (foods with a low GL rating encourage the body to burn fat) AND each teaspoon has just 14 calories or 13.7 to be exact! After checking the supermarket websites, it finally arrived at Ocado. Even better, it was on a special offer. I only bought one just in case we didn’t like it. So what exactly is Choc Shot? Basically, it’s a semi liquid spread, a bit like a thick chocolate sauce. It can be used in a multiple of ways. For example, as a topping for ice cream, on fruit, in a milkshake, as a hot drink or spread onto toast. 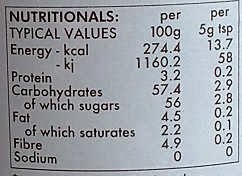 It contains 25% fewer calories (gram for gram) than regular hot chocolate, so it's not actually a low calorie option, but per serving, it is. Choc Shot is suitable for diabetics, is GM and gluten free and of course, is low GL. It’s packed into a 320g squeezy bottle which stands on its lid for easy squirting. Once it's been opened, there's no need to refrigerate - something I'm very pleased so see as I have quite enough jars and bottles vying for space on the top shelf of my fridge. I’m not a fan of adding chocolate to healthy foods. I’ve never wanted to dip a strawberry into chocolate. It kind of defeats the healthiness of the strawberry. But I know lots of people enjoy eating fruit this way and I suppose fruit with chocolate is better than no fruit! And despite what I said earlier, I don’t buy Nutella. However, my kids always come home after staying at friend’s houses, pleading with me to buy Nutella. I just can’t do it. But I’m hoping Choc Shot will be a suitable compromise. 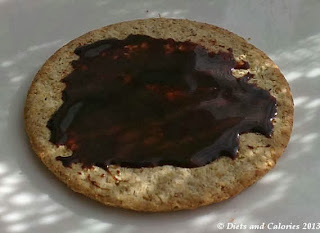 I first tried spreading some Choc Shot onto a plain oatcake. I’m eating a lot more oatcakes these days as they have a lower GL rating. Anyway, Choc Shot spreads easily. You can squeeze it straight out onto whatever food you want, or onto a knife or a spoon. It’s not runny enough that it ends up everywhere. Spread on an oatcake it looks beautifully shiny and very tempting. The taste was a bit unexpected. It’s certainly not sweet like Nutella (yep, I have tried it). 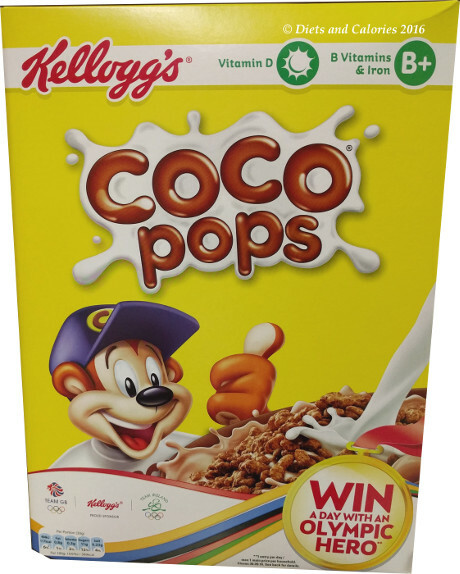 There is a slightly bitter chocolate flavour, which resembles a dark chocolate rather than milk chocolate. 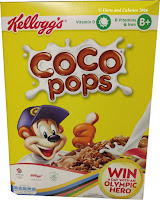 Somehow, I couldn’t see Choc Shot replacing the hallowed Nutella in my kids’ eyes. Still it was worth a try. I offered each of them a mini oatcake, generously smothered in Choc Shot. But, oh dear. It wasn’t quite the result I was hoping for. All three basically came out with the same answer. ‘It tastes like dark chocolate’. None of them like dark chocolate. They suggested that if there was a milk chocolate or white chocolate variety, then they might feel more favourably towards this spread. Not to be deterred. I had my own plans for Choc Shot. 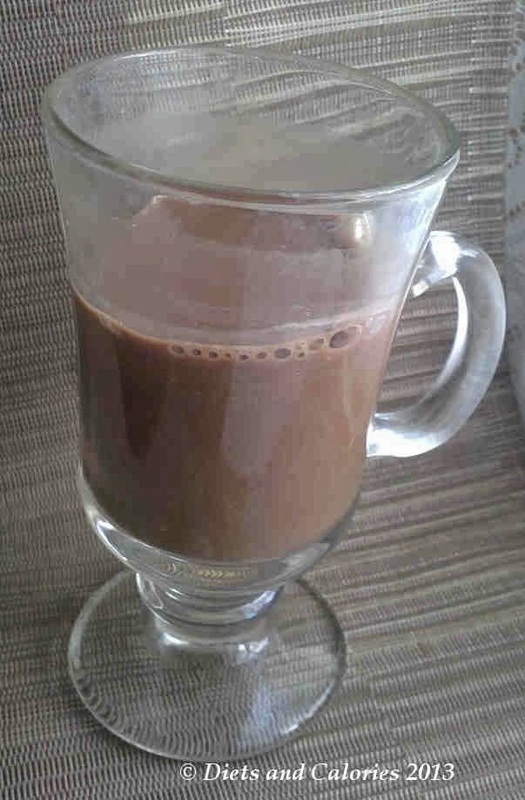 I’ve been searching for a healthier lower calorie hot chocolate that doesn’t come with any artificial sweeteners OR sugar. Unless you buy pure cocoa, it’s virtually impossible to find a hot chocolate drink without these additions. Choc Shot recommends making a mug of hot chocolate by heating milk and adding 3-4 tsps. Still trying to keep the calories down, I used Alpro unsweetened almond milk and duly stirred in my spoons of Choc Shot. It looked like a regular mug of hot choc, all light chocolatey coloured and it smelt OK too. The first taste wasn’t great. I had to have it sweeter. So I added two Stevia sweeteners and the taste dramatically improved. In fact, I could drink this as an alternative to my favourite Galaxy and Options hot chocolates, though it doesn’t beat them on flavour. 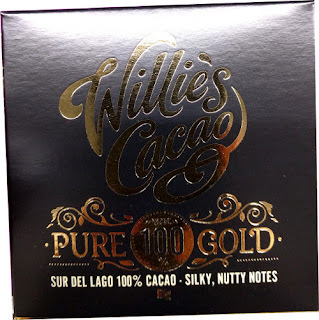 I think this is a great product which can be enjoyed without any guilt. And I’m sure that those without such a sweet tooth will love it. I’m hoping before long, as my family become used to less sugar, they’ll enjoy Choc Shot too. See below for ingredients and nutrition details. Ingredients: Sweet Freedom (natural fruit extracts; apples, grapes & carob), water, cocoa, rapeseed oil, natural chocolate flavour.